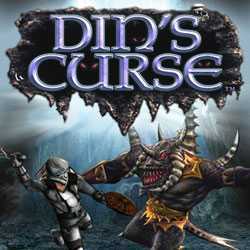 Dins Curse is an Action and RPG game for PC published by Soldak Entertainment in 2010. Your ancestral lands are under attack by devils. Dangerous creatures want to get inside. Whatever they see, Would be destroyed by them. So create a team with your troops to defend against these enemies.